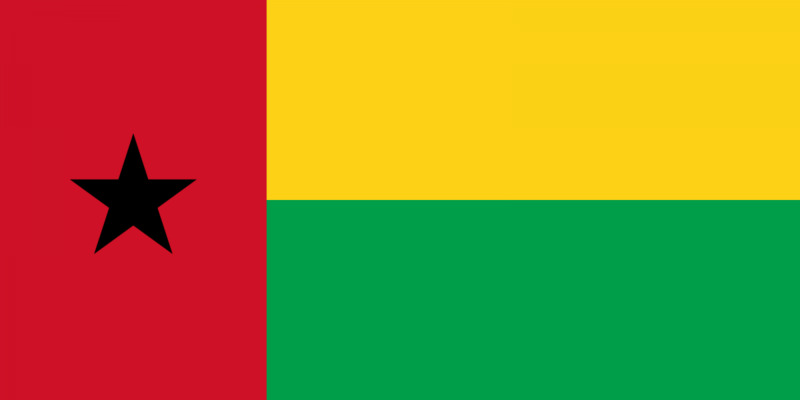 Guinea-Bissau's NAP was launched in 2010 for the period 2010-2011. As of November 2016, no new NAP has been presented. The development of the NAP was led by Comite de Pilotagem Nactional (IMC). Civil society, women's organizations, and international organizations helped in the development of Guinea Bissau's NAP. During the late 1990's, Guinea-Bissau had a bloody conflict that cost the lives of thousands of people, mostly women and children. During this conflict there were serious violations of the fundamental rights of women and international humanitarian law. Women were exposed to sexual abuse, physical and psychological assaults, looting carried out by the troops of the warring parties. These acts were never punished. In recent years, there has been fear of renewed instability, but efforts are underway by civil society, and in particular women's organizations, to sustain peace in search of sustainable development. From a recent academic analysis: Guinea-Bissau’s NAP shows a preoccupation with the lack of women’s participation in national peacekeeping efforts and conflict resolution situations. The Implementation Plan delineates measures to increase women’s representation in national decision-making organisms as well as international security and conflict resolution forums (Miller, Pournik, & Swaine, 2014). WILPF International does not have a country section in Guinea-Bissau and therefore was not involved in the development process of Guinea-Bissau’s NAP. Representatives from Civil Society Organizations, Political Parties, Women Organizations and International Organizations have participatory roles in the development and implementation of the NAP. As stated above, CSOs were geenrally involved in the NAP implementation. However, there are no specific civil society organizations mentioned in the NAP to carry out activities. Civil society organizations and women's organizations, in general, are mentioned as being a part of the National Steering Committee that will be appointed by the government for monitoring and evaluating the NAP. There is no direct mention for which actor will implement which action or specified objective in the NAP. Those involved in monitoring and evaluation as part of the National Steering Committee include: A representative of the Prime Minister, a representative of Parliament, The Ministry of National Defence, Ministry of Family, Women, and Social Cohesion, Ministry of the Interior, National Police, Political Parties, and Steering Committee of the Peacebuilding Mission. Ensure the strengthening and expansion of efforts for the safety, physical and mental health, welfare, economic security and the dignity of women and girls by the promotion and safeguarding of their fundamental human rights. Perform the equal access of men and women to aid distribution mechanisms, services and actions of humanitarian aid and of national and international aid to relocation. Support the participation of at least 40% of women in peace negotiations and in the implementation of the agreements resulting from the negotiations, until December 2010. Prepare and transmit to the Secretary General of the United Nations, a list of women to be nominated for the functions of special sent UN Secretary-General, head of the civilian police and military observers, of judges and all organisms, international judicial and other competent bodies in the field of peaceful settlement of disputes until June 2010. Revise the electoral law and framework law of political parties, with the purpose to establish quotas based on gender in electoral lists for the eligible positions. Guinea-Bissau's NAP is for the period 2010-2011, and also gives timeframes for many actions, but not all. These timeframes specify a particular month in 2011 (e.g. June 2011). There is no estimated or allocated budget in Guinea-Bissau's NAP. Only for the first objective do they mention a source of funding - in this case the PTA and IMC. There is no strategy for fundraising or a way to ensure that funds raised are used to implement the NAP. Besides the actions and specific objectives described above, there are no other form of indicators given in the NAP. To better monitor the practical implementation of this action plan, it is necessary to create a solid structure that covers all the political and social awareness in the country. In fact, a good implementation of the PNA 1325 requires an effective system of monitoring and evaluation, responsible for its implementation. It is in this context that State institutions were selected, women's organisations and civil society to be part of the structure called Steering Committee. The members of the Steering Committee shall be appointed by an act of the Government. Disarmament is not explicitly addressed in the NAP, however under Prevention they mention a Guns for Food program to help collect small arms around the country.